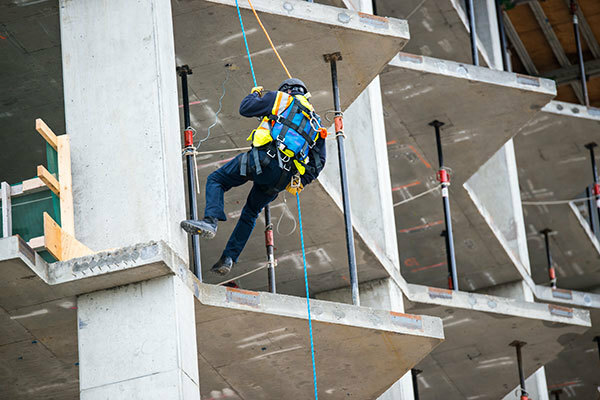 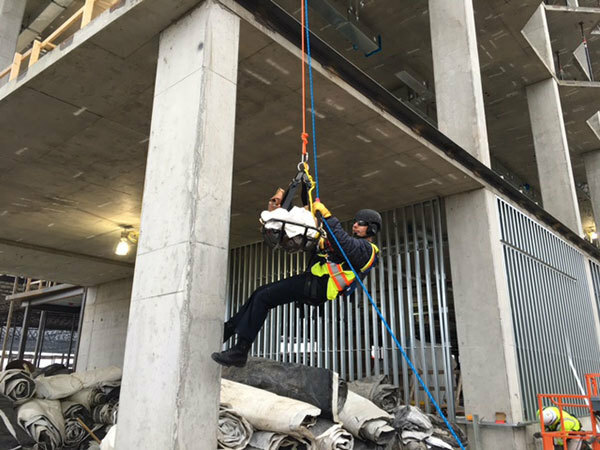 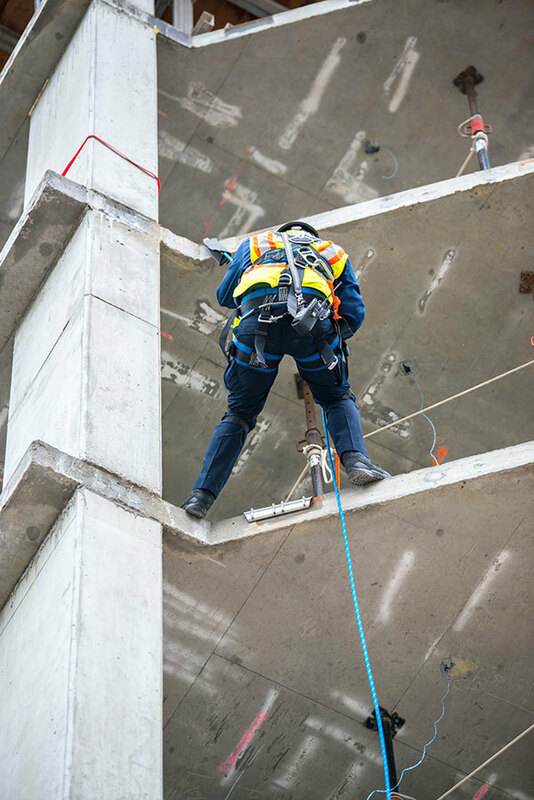 Mdewakanton Public Safety took training to new heights in November, utilizing a construction site for tactical rope rescue exercises. 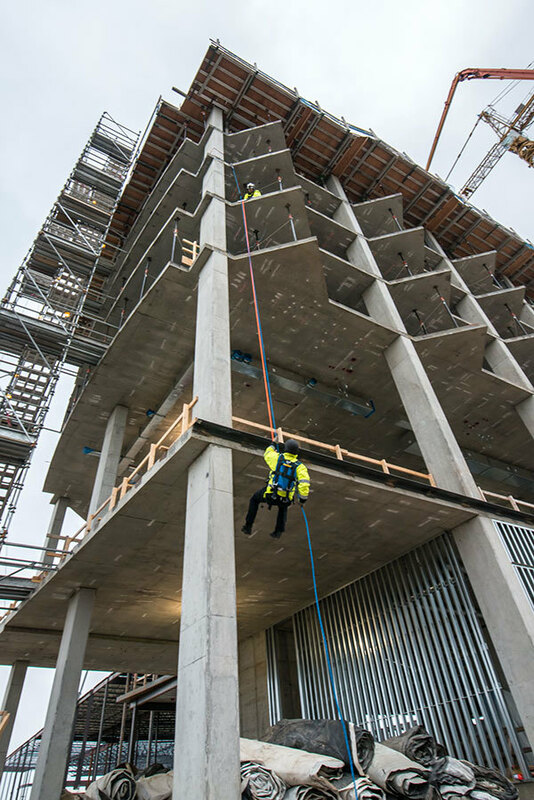 The Shakopee Mdewakanton Sioux Community is building a new hotel and meeting/event space, Mystic Lake Center. 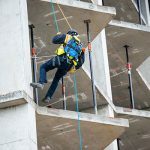 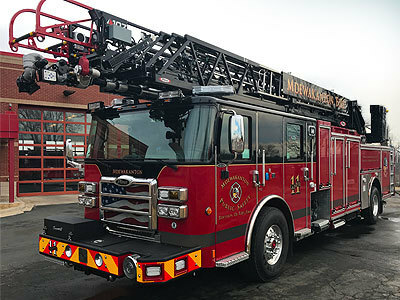 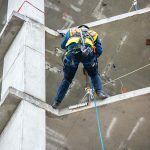 The unfinished structure provided a rare opportunity for firefighters to practice their new harnesses, select proper anchor points, and rappel at a realistic height (more frequently, training occurs about 50 feet from the ground). 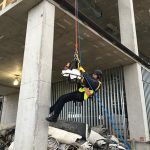 On the seventh floor of the hotel tower, they also practiced lowering and raising a basket carrying a simulated patient.